Please select a storage facility from the map or list below to see available storage units and sizes. Why would I need self storage in Decatur, GA? There are a variety of reasons why you might need self-storage in Decatur, GA.
You might be downsizing your living space or just need a little extra room for your things. You might be getting married and some of your favorite furniture and items don't fit in your new home. You might need a place to store merchandise or equipment for your home-based business. You might need a long term storage solution for all that extra merchandise or equipment for your company. You might need a place to store a vehicle for a while so a self-storage unit would be the perfect solution. If for any reason you find you need a self storage unit, we are here to help. Reserve online, visit one of our locations, or give us a call at 1-800-688-8057 to get your storage unit today! How much is a storage unit in Decatur, GA? The cheapest storage unit in Decatur, GA is $34.00 per month. What size storage units do you have available in Decatur, GA? In Decatur, GA we have sizes that range from 5'x2' to 20'x45' to suit your storage needs. How much is it for a 5'x2' storage unit in Decatur, GA? The cheapest 5'x2' storage unit in Decatur, GA is $55.00 per month. 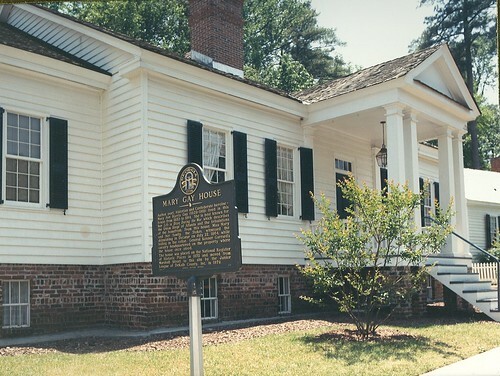 Located just six miles northeast of Atlanta, Decatur is a historic city that's quickly becoming one of the most popular places to live in Georgia. Despite its small size, Decatur is home to a rapidly growing population. Transportation links are plentiful, with public bus routes connecting the city and suburbs. Most jobs in the area fall within the health, education and technology sectors, with DeKalb County Government and Emory Clinic being two of the largest employers in the city. Decatur combines small-town charm and easy access to all the top attractions in nearby Atlanta, making it a popular choice for both families and young professionals. Decatur has a variety of jobs and highly rated educational institutions, and is well-known in the area for its friendly community vibe. Summers are warm and typically sunny, while the winter months are mild. For such a small city there's a wide variety of things to see and do. The Neighborhood Playhouse has put on theatrical productions for more than 25 years, and several local bars host regular live music nights. Decatur is known for its thriving festival and arts scene, with the Decatur Arts Alliance providing public art installations, supporting youth arts education and hosting the annual Decatur Arts Festival. Other community events include the Decatur Book Festival, the Maker's Faire, Summer in the City and the Blues & Bluegrass Festival. The majority of public schools in Decatur either fall within the DeKalb County School District or in the Decatur County School District. You can also choose from a variety of private institutions in the area, including a variety of faith-based schools. If you're planning on pursuing a college degree, there are a handful of colleges and universities in the area, including Columbia Theological Seminary, Emory University, Agnes Scott College and Georgia Perimeter College. Utilities: Georgia Power is the local electricity provider, and natural gas is provided by several different companies in the area. Dekalb County Water & Sewer Service administers public water for Decatur. Garbage and Recycling: The City of Decatur provides curbside collection of trash and recyclables. Transportation: Decatur is connected to the larger Atlanta metropolitan area via the MARTA transit system. If you're looking for a new home, there are many neighborhoods to choose from in Decatur. Oakhurst is a creative, hip community with converted lofts and a high cost of living. For something more affordable, Medlock Park, Forest Hills and University Heights have a range of budget-friendly homes for sale and rent. Overall, rental prices in Decatur are close to the national average, while median house prices are slightly higher. Our lowest priced units in Decatur, GA average $59.00 per month. 1745 people have reserved units in Decatur, GA in the past 30 days. There are 29 locations within Decatur, GA's city limits. There are 12 locations in Decatur, GA that offer AC and Heating features.